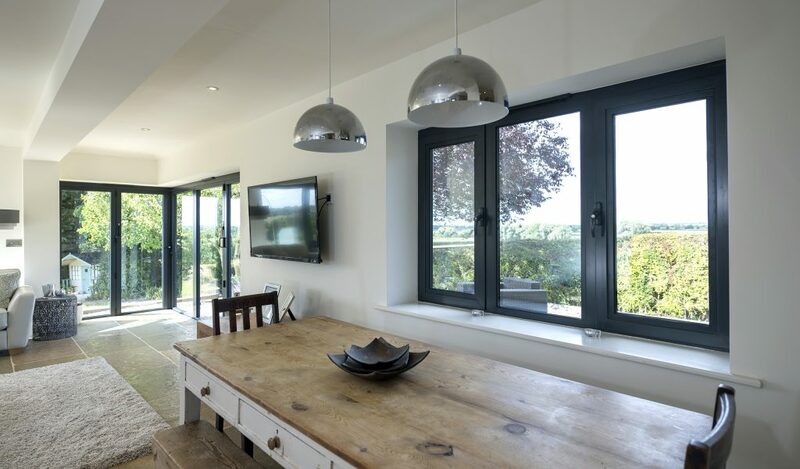 Our sleek and sturdy aluminium windows create the perfect contemporary contrast in your home. Re-vitalising your home with beautiful, value-adding aluminium windows. Our strong and sturdy aluminium windows will bring a sleek look to any home in Brighton, East Sussex or the surrounding areas. These windows are resilient in the British weather and will help to keep your property warm. As aluminium is strong, these windows do not need as much of it to reach the necessary strength. 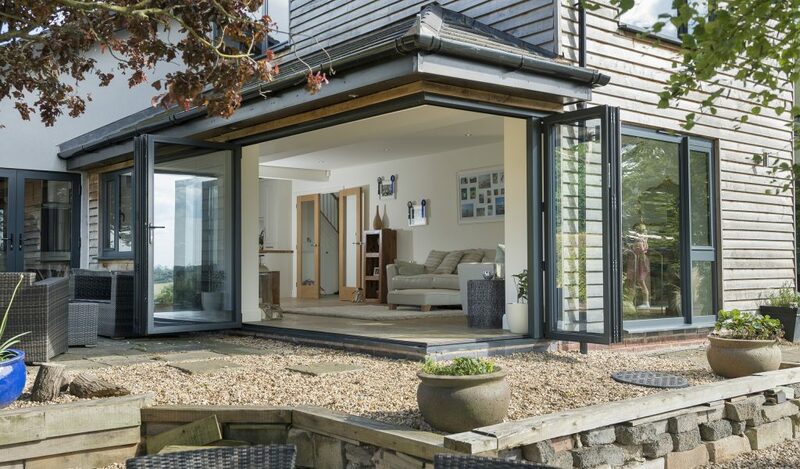 Therefore, there is more space for the glass to allow as much light as possible to flood into your East Sussex home. A1 Glass and Glazing can provide you with excellent installation of your aluminium windows. The use of aluminium means that your windows won’t deteriorate over time as a result of the unpredictable British weather conditions. The improved technology used for aluminium windows by our manufacturers over the years will give you the best products that are available right now! Due to their innovative technology, we have chosen SMART Systems as our manufacturer. SMART Systems have been providing homes with aluminium glazing systems since 1984. SMART windows create a barrier between the cold air outside and the warm comfort of your Brighton home using polyamide thermal break technology. This technology allows their windows to achieve a Window Energy ‘A’ Rating. SMART Systems aluminium windows are also endorsed by the British Standard Kitemark system KM 81580 KM 81543. There are a range of different designs that SMART Sytems offer for their aluminium windows including different frame options, standard colours, metallic colours and dual colours. Please contact us for more information about your design options for your aluminium windows. Our SMART Systems aluminium windows provide internal and external beading. This provides increase resistance for forced entry into your Brighton home. We understand how important it is for you to feel safe in your home which is why we have chosen a manufacturer that provides this feature in their aluminium windows. With reduced energy bills and increased safety, these windows will be the perfect addition to your home. To provide our customers with a wider range of choices for their aluminium windows, we also use Origin as our manufacturer as well. Origin was established in 2002 making bespoke aluminium windows and doors. Their wide range of products gives customers the ultimate choice when outlining the specification for their aluminium windows. Their products continue to exceed British Building Regulations Requirements to ensure the highest quality products for homeowners in East Sussex. The wide range of colours include a combination of bright, pastel, khaki and greyscale colours amongst many more. This allows you to personalise your aluminium windows for your home to create the perfect, stylish aesthetic. If you prefer your windows to look more traditional, you can also choose a woodgrain finish for your aluminium windows. Choose from 4 different colours to create the perfect contrast between traditional and contemporary for your brand new windows. If you would like to speak to a member of our team about our aluminium windows or have any more questions then please do not hesitate to call us on 01273 676750. We would love to answer any questions that you have to ensure that you make the right decisions about your aluminium windows. We also have a contact form that you can fill in with your details. Once completed, one of our expert team will get back to you with additional information. You can also use our free online design tool to generate as many quotes as you would like for your aluminium windows. Please explore our exciting range of products on our website. We have a great range of windows, doors, conservatories and glass products. 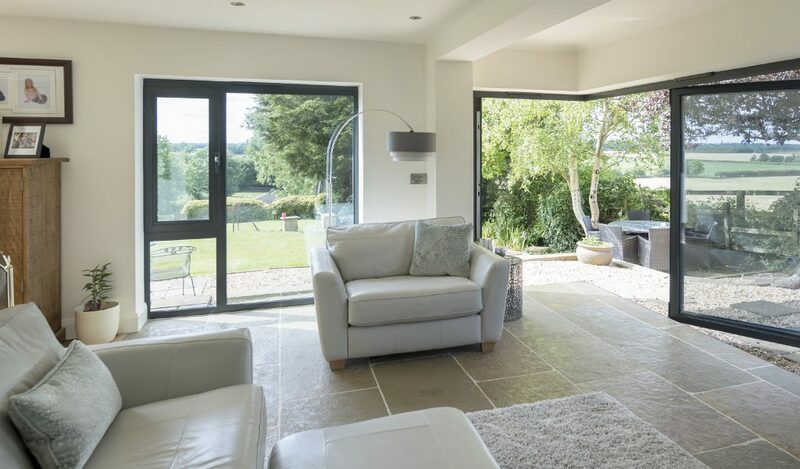 If you would like to continue the sleek aluminium design throughout your home, we can also install aluminium bi-folding doors.